"The judicial system will not reform itself." Justice Minister Pavlo Petrenko says that criticism on the part of judges of the judicial reform is a testament to the fact that it goes in the right direction. "We are moving correctly when the representatives of the judicial system, which over the past years grew into an untouchable caste, strongly criticize the amendments to the Constitution," the minister said when speaking at a roundtable conference titled Judgement Thursday of the judicial reform: will the amendments to the Constitution pass?, held jointly with the Reanimation Package of Reforms civic platform in the press-center of the Gorshenin Institute. "The judicial system will not reform itself. We saw that in the case of other state institutions, for example the Ministry of Justice. Imagine we gave the State Registration Service, which was a personification of corruption, the opportunity to reform itself. They would move around the chairs and door signs. Only through radical things like creation of a new structure it is possible to carry out reforms in complex institutions like the judiciary," he stressed. 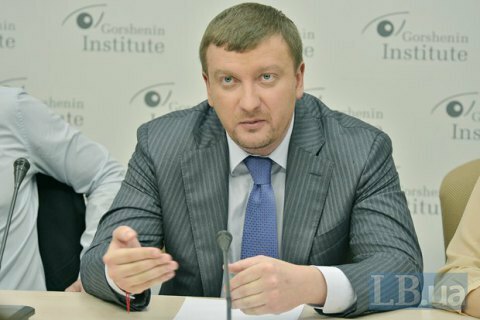 Petrenko hopes that the current reform will increase the level of confidence in judges and enable citizens to say Your Honor with true respect. The second reading of the reform bill is slated to take place this Thursday, 2 June.